When your technician recommends that you seal your garage door, you might be thinking that it’s just another unnecessary expense on your part. Yes, replacing your garage door seal may cause some money. However, counting the cost without considering the benefits always leads to a poor decision. Insects are bad news especially if you keep electronics inside the garage. Ants, spiders and other insects may decide that your electronic devices are good places to start a colony. Garage door seals ensure that these critters are kept outside the garage. Insects could crawl through gaps between the garage door and the floor and invite other insects as well, causing destruction to some items inside your garage. An airtight seal blocks the path of these insects, saving your things. In some cases, poisonous spiders and insects like scorpions can also crawl through gaps in garage doors. You don’t want to get bitten by these insects when you rummage through your stuff in the garage. A little amount of money can go a long way especially if it is to protect your property, yourself, and most importantly your family. No one wants the unpleasant surprise of receiving their electric bill and realize they have to pay too much. The truth is, if you have a temperature-controlled garage and you have gaps under your garage door, this would use a lot of energy. You see, if the temperature in your garage remains constant, your temperature control equipment will not have to regulate more often, which helps you save energy. On the other hand, if your garage door seal lets outside air in, it will affect the garage temperature and your thermostat will have to work double time, using more energy. Replacing your garage door seal costs a little, but it basically pays itself with savings from your electric bill. 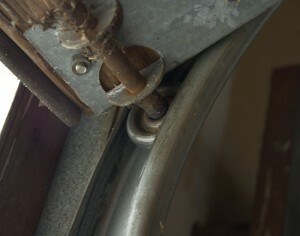 Burglars love broken garage door seals, especially those with gaps big enough for a crow bar to open. In fact, many burglaries happen because of gaps on your door. If you want to keep your car and other things in the garage safe, then replacing your old garage door seal is not just for convenience but a necessity. Peace of mind is something all humans want to achieve. Worry and anxiety deprives you your peace of mind. If you keep worrying about your electric bill being high, if you are anxious about the safety of the things in your garage and if you fear for the safety of your family, then replace that broken down garage door seal. Yes garage replacing garage door seals may cost a little—it’s not even expensive, but the benefits you reap from this little investment is huge. You can save electricity, your stuff in the garage stays safe and burglars are kept away. The benefits definitely outweigh the cost. If you want to need help with replacing your garage door seal in Roseville, California, you can contact Perfect Solutions Garage Door.